Being a good steward of the earth and its resources is deeply important. Across the United States and Europe, more and more families are making sure to recycle what they can – cardboard, bottles, paper, and more. Recycling has two incredibly positive impacts on the world. First, it reduces the amount of trash in landfills across the country. This helps landfills grow at a slower rate, preserving more land for other uses. Secondly, by reusing resources that were already created, the costs and pollution associated with harvesting, transporting, and manufacturing new materials are dramatically reduced. For instance, recycling aluminum saves 92% of the energy required to make it from scratch. Most people know that aluminum, cardboard, paper, and some plastics can be recycled. In fact, there is quite a bit more that can also be reprocessed. 1. Sneakers. 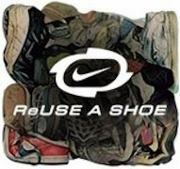 Nike has a program called ‘Reuse-a-Shoe’ where they collect worn out sneakers of all brands. The shoes are ground up, purified, and made into a material that is used to create sports surfaces like running tracks or tennis courts. To donate old sneakers, drop them off at any Nike store. 2. Packing Peanuts and Packing Foam. Whenever you buy a large (or even small) appliance, you find molded packing foam or packing peanuts included in the box. Fortunately, you don’t have to just throw those away. To find out where to recycle packing peanuts, call the ‘Peanut Hotline’ at (800) 828-2214 or visit www.loosefillpackaging.com. For larger molded foam, visit the EPS Industry Alliance at www.epspackaging.org. 3. Electronics. Electronics get outdated faster than you can blink, but the good news is you can recycle most of your old items. Most Best Buy stores will take old electronics regardless of where you bought them. In addition, you can recycle batteries, CD’s and DVD’s. You can get the full list at Best Buy’s recycling site. 4. CFL Light Bulbs. CFL bulbs are already great for reducing energy consumption and lowering the electric bill, but the bulbs can also be recycled. IKEA stores take these bulbs, as well as many hardware and home improvement stores. To find a business near you that will take these bulbs for recycling, visit LampReycle.org. 5. Crayons. Crazy Crayons is an organization that was started to educate kids about recycling by encouraging them to recycle their old crayons. 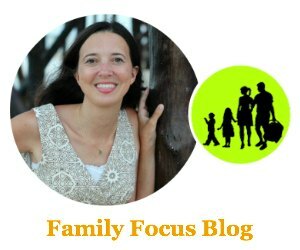 At crazycrayons.com/recycle_program, you can find their guidelines for sending in old crayons to be recycled. Some tips – don’t use bags or packing peanuts, ship in flat rate boxes, and leave the wrappers on so they can easily identify colors. 6. Corks. Cork ReHarvest was founded to help recycle used corks into usable materials. They work to keep the carbon footprint of the recycling effort low, and used corks are turned into floor tiles, coasters, and more. All Whole Foods stores and many other retailers accept corks for recycling. For details about this effort and to find drop off locations, visit corkforest.org/cork_reharvest.php. Recycling takes a bit of effort and organization, but the results are well worth it. We owe it to future generations to take the time to recycle everything we can. These six surprising recyclables are only the tip of the iceberg – do your own research and see what else you can discover! What unusual recyclable item do you know about that isn’t on this list? Let us know in the comments! I’ll have to definitely do the sneaker recycle with Nike since we go through so many sneakers. Also, I have some old electronics for Best Buy. Thanks for the ideas.